Collaboration & Open Source Projects | Welcome to Mozilla Science Lab's Study Group Orientation! Give clear, fair credit to all contributions to the project. Build mentorship into the project plan, so new contributors can make connections in the field, sharpen their skills, and “level up”-- these are great motivators for participation! With encouragement, on open source projects we’ve seen groups of contributors coalesce into sizable communities that advocate for the project and persevere through difficulties. While research collaborations have their own constraints and particular requirements, many collaboration tools and practices from open source can useful in open research. Collaboration is not without its challenges and pitfalls: lots of researchers struggle with questions of authorship, who will take the role of lead or champion, and which technologies to use for collaboration and communication. Mozilla Science Lab offers support, resources and learning materials, such as our Working Open Workshops, and the Open Leadership Training Series, to teach best practices for working open and help foster effective collaboration. In your Mozilla Study Group you can boost collaboration skills by sharing expertise, reviewing each other’s code, working in GitHub to facilitate discussion and organize group meetings, events, and content. Groups may also take on a project together, like creating a specialized code library, a series of lessons on a certain tool or topic, or even working to publish a paper together. 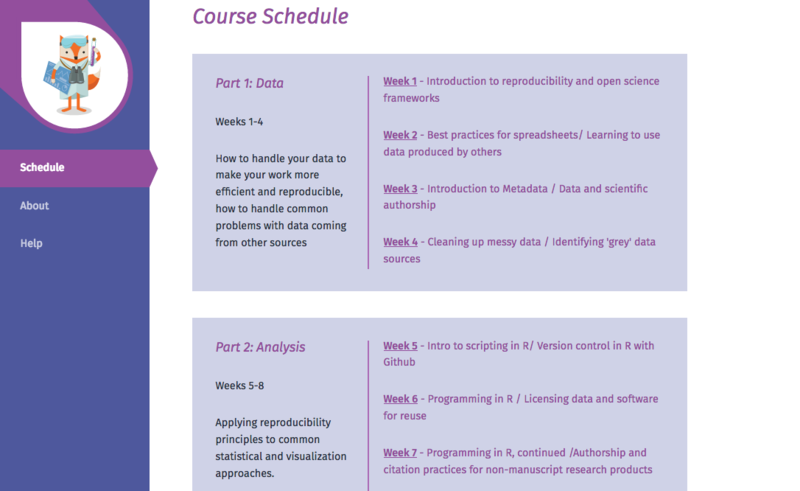 In 2015, Mozilla fellow Dr. Christie Bahlai developed a course called "Reproducible Quantitative Methods"that emphasizes collaboration skills and data re-use. Here&apos;s more from Christie about that course. A comprehensive instructor guide is available for the course, and free to be remixed and reused. We encourage Study Groups to use these materials in whatever way works best for their group!